Growing up in the 1950s, William Bell had to enter Birmingham's segregated Lyric Theatre though a side entrance, marked "COLORED," that was walled-off from the elegant lobby. 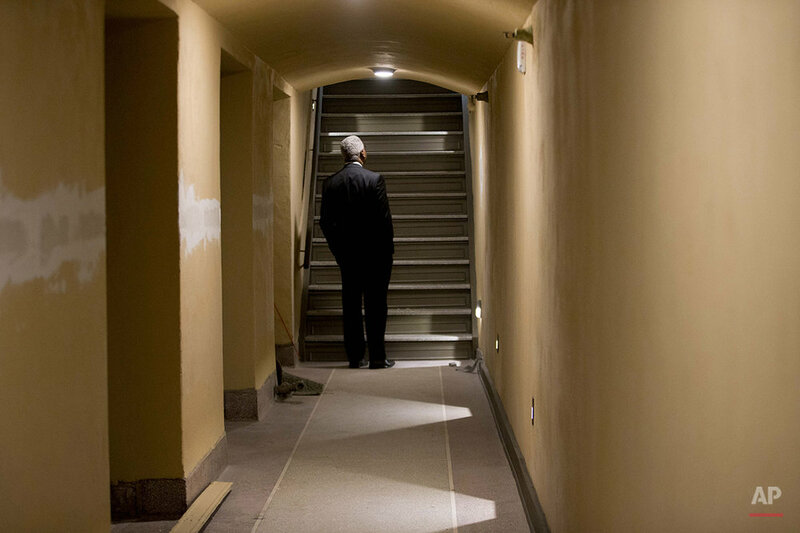 He climbed a dimly lit stairwell to watch movies from the steep balcony where black patrons had to sit for generations. Now the city's mayor, he recalls the Lyric's beauty, but also the way it isolated black people. The inequity built into The Lyric Theatre's very architecture is a painful reminder of the city's ugly past as one of the most segregated places in America. 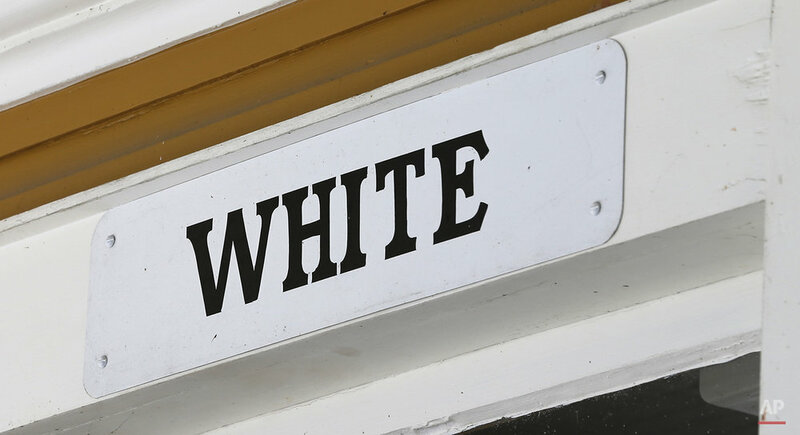 But it also serves as a living history lesson, a symbol of how the Deep South has changed since the courts ended discriminatory Jim Crow laws. 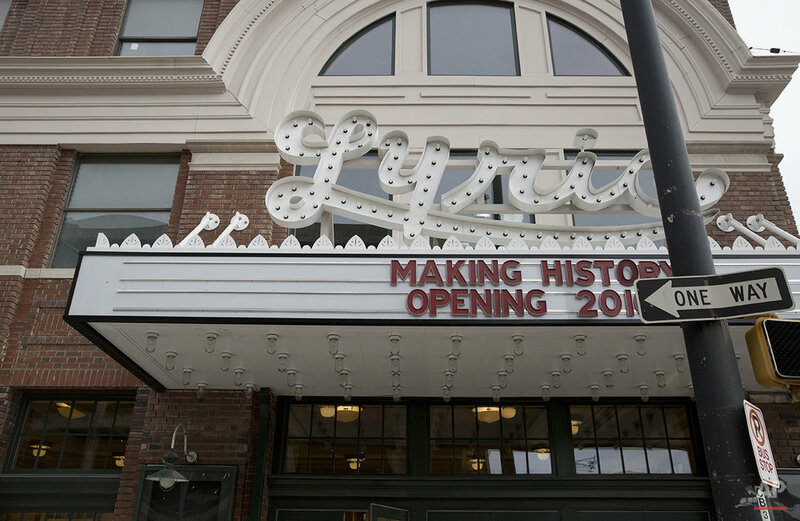 Preservationists had to decide whether to keep reminders of The Lyric's discarded color line before they unveiled an $11 million restoration of the 102-year-old theater, which had been closed for decades. In this case, they chose to highlight the history, installing a glass door with the etched words "Historic Colored Entrance" in the lobby wall so patrons can peer into the past. Across the South, people are struggling with similar questions: What does a changing region do with the vestiges of back-alley service windows, segregated waiting rooms, dual water fountains and abandoned schools that once formed the skeleton of a society built on oppression? Northern states have such reminders, too. A black heritage trail in Portsmouth, New Hampshire, includes all-black burial grounds and a plaque which explains that blacks were forced to sit in designated pews in New England churches through the mid-1800s. In Detroit, murals decorate a 6-foot-tall concrete wall built in 1941 to separate a new development meant for whites from an existing black neighborhood. But the issue has become particularly acute in the South, where millions still remember living through segregation. More so than in the past, many older people and younger generations now feel a need to discuss the legacy of Jim Crow, said Robert Weyeneth, a University of South Carolina history professor who specializes in preservation. "It has become more complicated today because people are more willing to think about the preservation of the architecture of white supremacy," Weyeneth said. 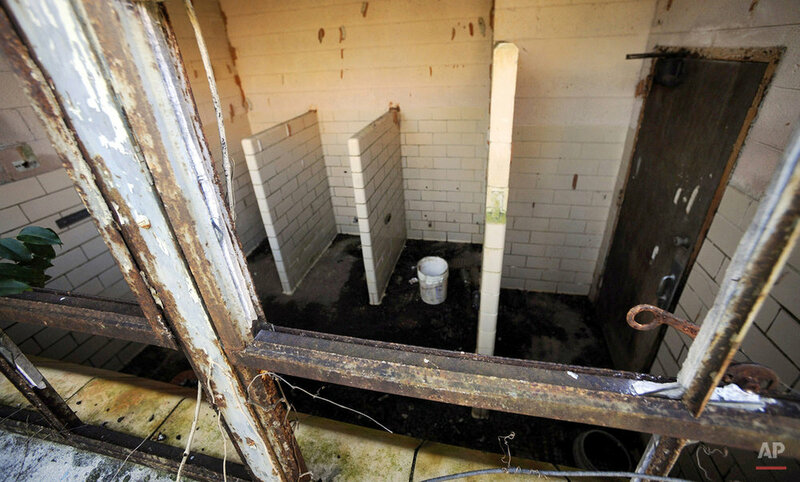 "Initially, no one wanted to save these things." Some say it makes them uncomfortable to see reminders of segregation at the Lyric, but the mayor believes people must see history as it really was, even if that means glancing up at the segregated balcony where he sat as a young boy. The ornate theater was beautiful, he recalls, but blacks up there could never mingle with the white patrons far below. "The best seats were on the front row of the balcony because you could flick popcorn or peanuts down and it would land in their hair," said Bell, now 66, grinning at the memory. "We should not shield ourselves from our past," he added. 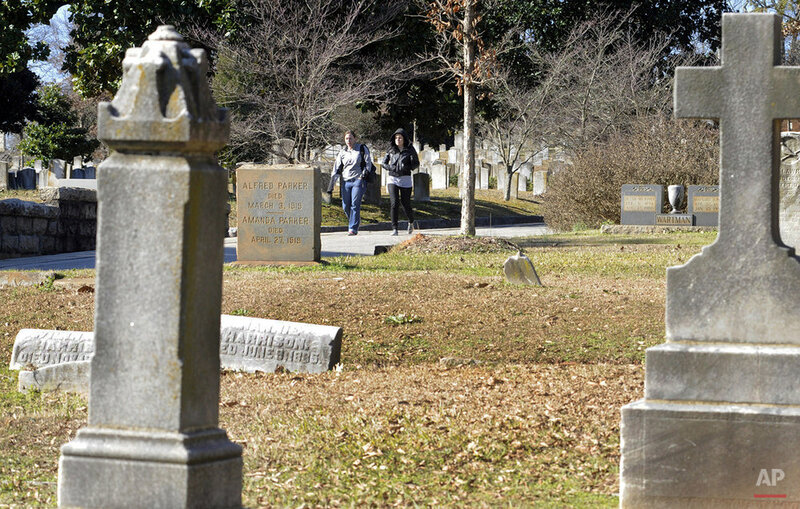 Atlanta's Oakland Cemetery, with 70,000 graves dating to 1850, is a reminder that segregation was meant to last eternally in the Jim Crow South, and operators don't shy away from its history. The city-owned cemetery was divided by race for generations until the City Council ended the practice in 1963, and today some black people are buried in previously all-white sections. That includes Atlanta's first black mayor, Maynard Jackson, who died in 2003 and lies in an ivy-covered grave. Telling the story of this segregated past is part of the educational mission at Oakland, said executive director David Moore. A brochure, guided tours and audio exhibits explain the cemetery's black section, which holds about 12,000 graves, and signs denote the black section and other areas at Oakland, which also includes a Jewish section and a mixed-race "Potter's Field" for indigent burials. A recent visitor complained that the story of slave burials and segregation was "sad" and shouldn't be discussed. Moore disagrees. "Cemeteries provide a great place for people to look and try to figure out what happened before," he said. 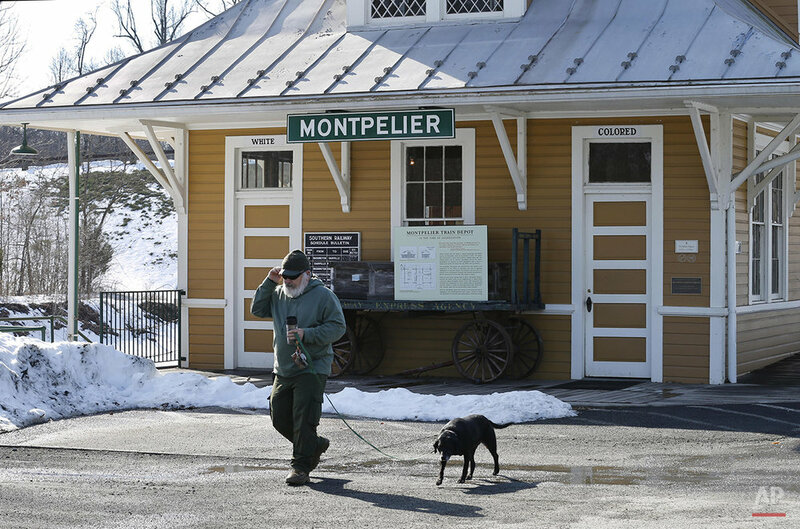 Built in 1910 when Virginia and the rest of the South had laws that prevented whites and blacks from mingling in many public spaces, the Montpelier Train Depot at Orange, Virginia, was constructed with two waiting rooms — one for whites and another for blacks. Preservationists at President James Madison's Montpelier estate, where the white-and-yellow depot is located, decided to keep the segregated waiting rooms when the structure was renovated in 2010. The depot remains an active U.S. Post Office, and some favored taking down the "WHITE" and "COLORED" signs that hang over the waiting room entrances. 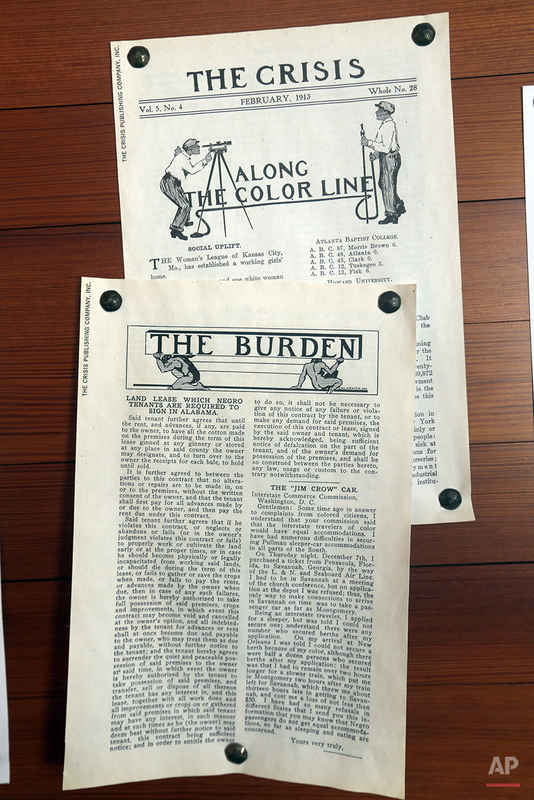 Instead, the depot has been equipped with exhibits that explain the legal history of "separate but equal" laws and their effects on black residents during the Jim Crow era. 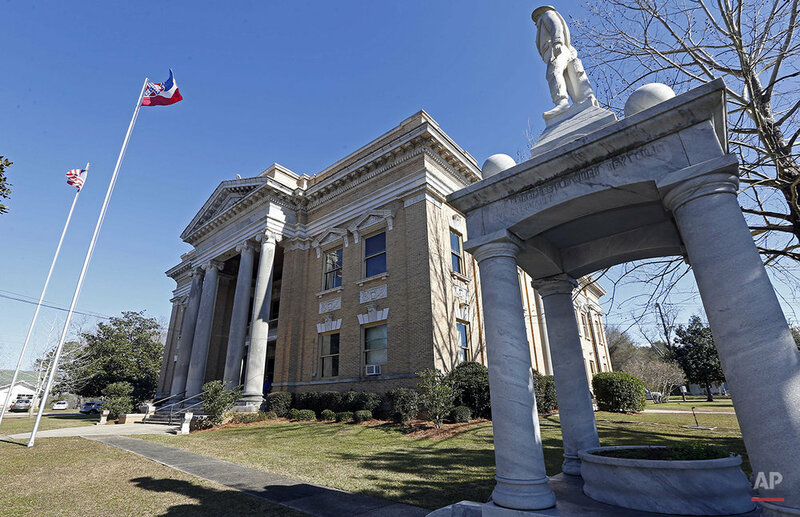 The metal plaques attached to two concrete water fountains outside the Jones County Courthouse in Ellisville, Mississippi, hide an ugly truth: one fountain was exclusively for whites and the other for blacks during the segregation era. The National Association for the Advancement of Colored People sought the removal of the dual fountains in 1989, calling them a painful reminder of segregation, but the white-controlled board of supervisors refused. Instead, officials plastered over the "COLORED" and "WHITE" inscriptions, which reappeared once rain washed away the plaster. County leaders then decided to cover the old racial inscriptions with plaques denoting the year the courthouse was built, 1908. Today, the twin water fountains still flank the courthouse stairs. Nearby on the lawn stands a monument to Confederate veterans. There's little to let visitors know that Frank B. Butler County Park was once a thriving resort for blacks located just south of segregated St. Augustine Beach, Florida, on the Atlantic Coast. The park's website tells the story of Butler, a black businessman who saw the opportunity for a black beach in the segregated South during the first half of the 1900s. The resort he created grew to include bathhouses, a casino, pavilions, a motel and other amenities for blacks who weren't allowed at white-only beaches in the South. Yet those structures disappeared generations ago, and black historian Bernadette Reeves laments the lack of markers at the site on scenic A1A to explain its significance. "Can you imagine that the whole Atlantic Ocean wasn't big enough for whites and blacks to swim together?" she said. Philanthropist Julius Rosenwald spurred the construction of more 5,300 schools for blacks across the South over a two-decade period ending in 1932, and efforts to save those buildings are spotty. Rosenwald built the schools at the urging of black leader and educator Booker T. Washington, who founded Tuskegee University in rural east Alabama and had a firsthand view of the inherent inequality of "separate but equal" schools for blacks and whites. Rosenwald's schools bridged the gap that white-controlled governments wouldn't fill. 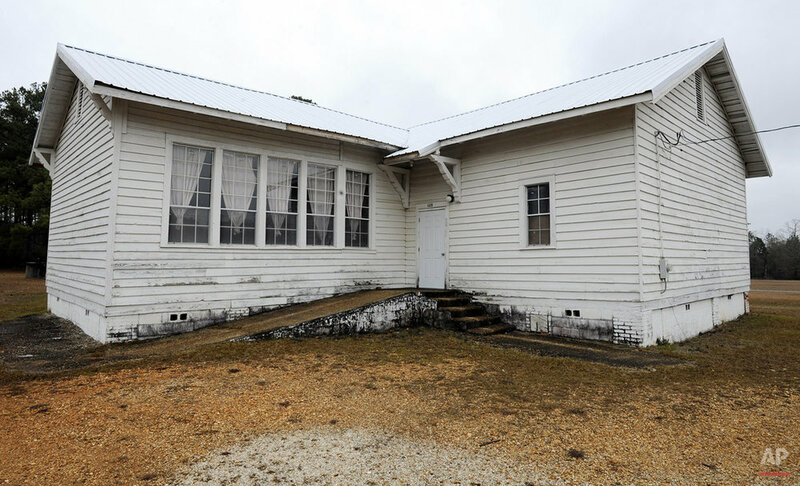 Today, some communities and groups have embraced the preservation of Rosenwald schools, which typically were wood-frame structures built along rural roads. Yet the National Trust for Historic Preservation estimates that fewer than 450 survive today. Text from the AP news story, What should be done with architecture of white supremacy?, By Jay Reeves.